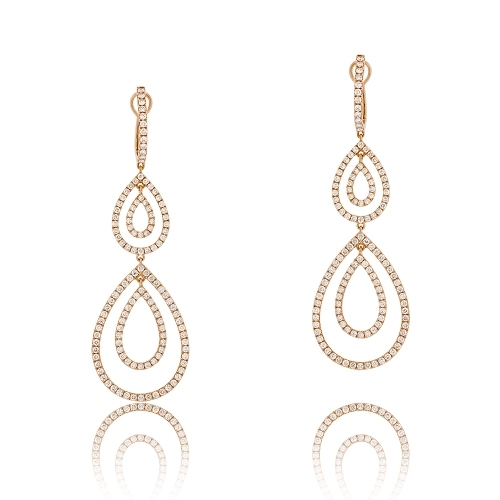 Long diamond earrings in a double teardrop design set with round brilliant diamonds. Diamonds approx. 3.29ct. Earrings 2.5"